After a five-month search, CBS11 has named Andrea Parquet-Taylor as the D-FW station’s new news director. Incumbent assistant news director Laurie Passman had held that position in the interim after CBS11 dropped Mike Garber in August of last year. Passman will remain with the station, CBS11 communications director Lori Conrad says. 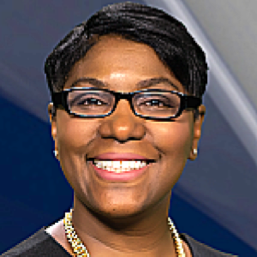 Parquet-Taylor, who is scheduled to join CBS11 in February, has been news director at WNCN-TV, the CBS affiliate in Raleigh-Durham, NC, since 2011. She also has been news director at Detroit’s WXYZ-TV, Baltimore’s WMAR-TV and Raleigh-Durham’s WRAL/WRAZ-TV. She’s been an assistant news director with Houston’s KHOU-TV as well. Parquet-Taylor has much work to do. CBS11 ended the November “sweeps” ratings period with last place finishes at 6 a.m. and at 5, 6 and 10 p.m. in the key 25-to-54-year-old news demographic. The station’s best showing was third place at 10 p.m. in the total viewers measurement. The February “sweeps” begin on Thursday, Feb. 2nd.